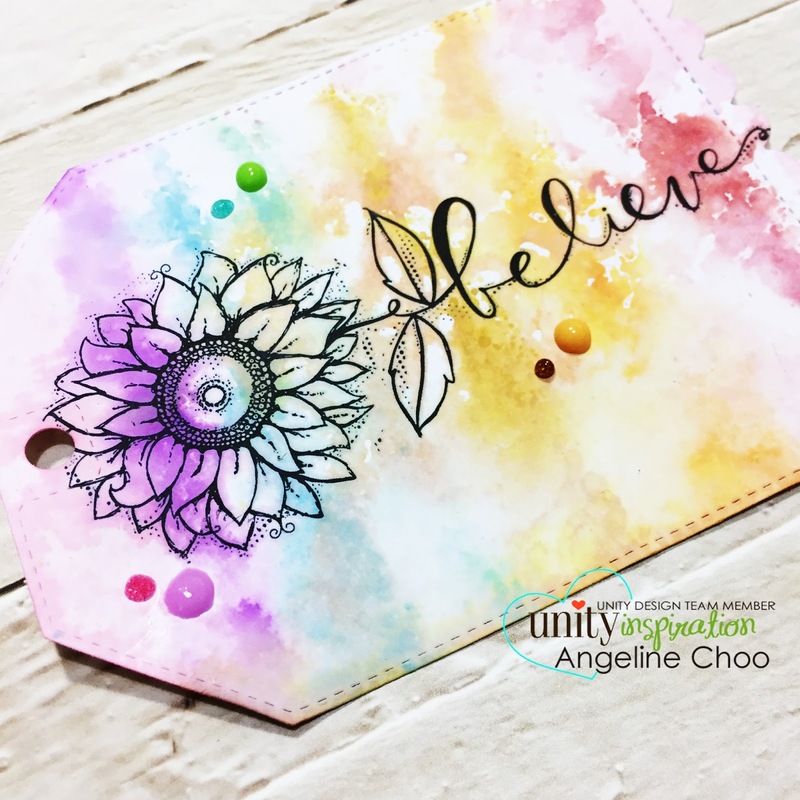 Angeline here to share with you a tag I made using this month's Kit of the Month "It's going to be beautiful". I stamped the beautiful flower/believe stamp on white cardstock and die cut the tag using Kat Scrappiness Stitched Scalloped Nesting Tag dies. Then it's time to color it up! I smooshed my Tim Holtz distress oxide inks [Worn Lipstick/Wilted Violet/Broken China/Cracked Pistachio/Fossilized Amber/Spiced Marmalade/Fired Brick] on my craft mat and spritzed some water onto it. Then I swiped my tag onto the colors and wa-lah! Finally, I added some Tonic Studios Nuvo Drops to the tag and I'm done. 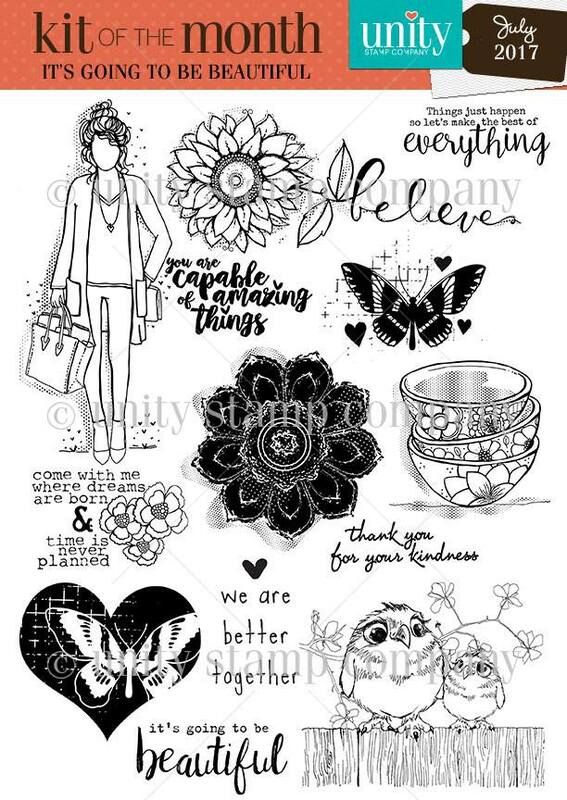 Don't you think this stamp from the Kit of the Month is just so beautiful?? One kit full of so many pretty stamps.